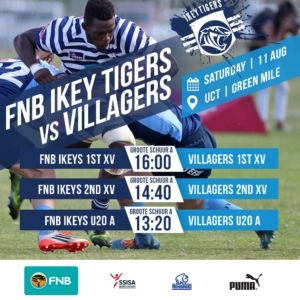 As the,regular league season draws to a close, the U20A’s will look to secure another unbeaten season in the Super A League, and the Ikey Tigers will fight for a podium finish after and impressive recent run. Here, a review of the season so far. After a drought delayed the start to the season, the 1st XV, 2nd XV and under 20A teams kicked off their respective league campaigns a little later this year, with a two month break further disrupting momentum after only three games. Nevertheless, 9 games in and the Ikey Tigers sit mid-table, with the u20A’s holding an unbeaten run. This year the new format begins with all teams playing all other teams in their league, but with the league winners only being determined in the knockout championship round after the first phase of the league is complete. The Championship phase will see the top six in each league compete in a knockout format at central and neutral venues. 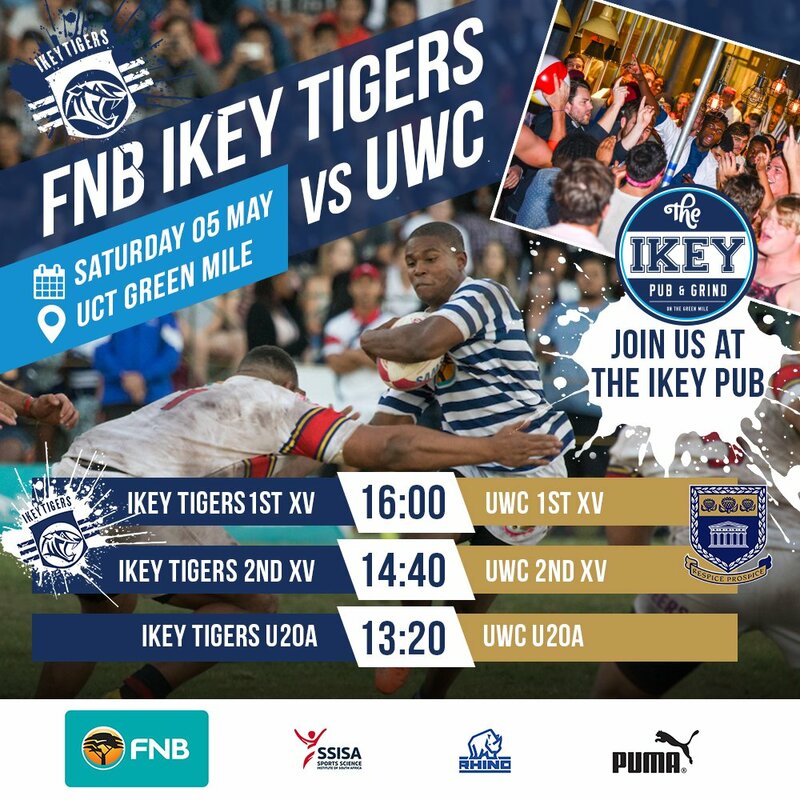 First up for the Ikeys was UWC at The Green Mile. The match was closely contested in the first half, but the second half saw UCT clearly take advantage of the local conditions as they played with the wind in their favour. UCT took the win 33-16. This was followed up by wins against Victorians 45 – 29 and then the big one, a win against the Maties at Coetzenberg 27 – 25. The under 20A’s also won all three games. Then came a long two and a half month break before the Ikeys had to face National Club Champions False Bay. The “Bay” won the game 14 -10 scoring the winning try at the death with the Ikeys leading with a minute to go. The Ikeys were rusty and missed a number of opportunities to score points. A large crowd turned up to watch what was a tight but tense match, which was played with a lot of physicality. Among the crowd were a number of ex-players, including Sevens Springboks Dylan Sage and Kyle Brown. Live music outside the new clubhouse and a large crowd capped off a great day of rugby. This was followed up with a mid-week win 29 -15 over a feisty SK Walmers at the Green Mile. SKW proved to be more difficult opponents than their league position would indicate. Then the Ikeys travelled to the Northern Suburbs to take on NNK. The Ikeys did not have it all their way, but ended up winning 45 – 33, with another bonus point in the bag. A highlight of the day was the continued good form of the powerful unbeaten Ikeys under 20A team, who won 104 – 7! Next up it was Villagers who returned to the Premier League A after 3 years in the Premier League B. The Ikeys went on to a bonus point win of 47 – 21. Ikeys were in control of the match throughout, although the scrum did struggle in the final quarter of the match with multiple substitutions (including both starting locks), which gave Villagers some attacking opportunities and penalties. The under 20’s came up against a strong Villagers under 20 team (who have access to WP Academy players). Villagers previously being top of the log with the Ikeys having some games in hand. 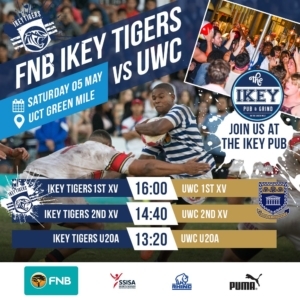 The Ikeys won 26 – 17 to remain undefeated. Another cold Wednesday night and the Ikeys trekked to Brackenfell and the effects of having to play 6 games in the space of three weeks, in what is the toughest club league in South Africa, the Ikeys slipped to a 10 – 22 loss to Brackenfell. The under 20’s continued their good form beating Brackenfell 28 – 7 to go top of the log. Illness, injuries and WP call-ups continued to impact on the Ikey side. 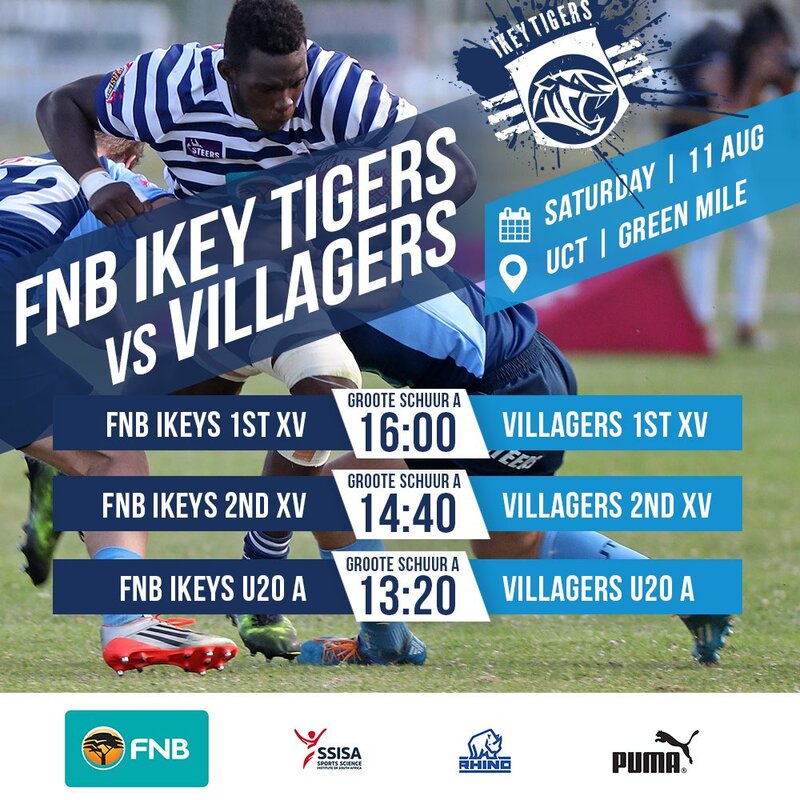 There is however a lot of depth and talent at the club and the Ikeys were still able to select a strong team to take on Hamiltons this past Saturday. The team started well scoring early but a physically direct Hamiltons team, who ran hard at the Ikeys, eventually wore down the Ikey defence to win 39 -17. The Ikeys currently lie in 6th position on the 15-team table. The young Ikeys continued their good form defeating Hamiltons 68-20 and are in second position on the table, one point behind Maties, but importantly, with a game in hand.